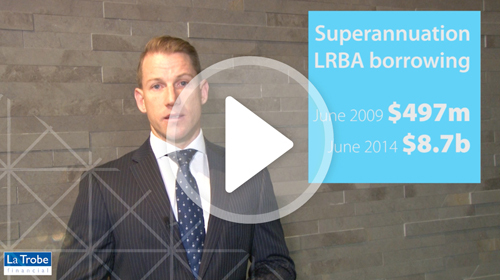 LTF Product Showcase – What is the future of SMSF Lending? Due to popular demand, welcome to our Commercial SMSF Lending Part 2. Our experience is that more and more brokers are getting involved with SMSF Lending. In this video, we touch upon the recently released David Murray-led Financial System Inquiry and discuss what, in our opinion, the future of SMSF Lending looks like. Click on the video below to learn more. When you partner with La Trobe Financial for your Commercial SMSF Lending clients, you can rest assured that you will be partnering with the credit specialist experts.